OK, you have to bear with me here, because the revelation that follows is so unbelievably obvious I’m almost embarrassed to post about it. What we have here isn’t some new-fangled eye cream ingredient or a fancy, muscle-toning massage move. It’s not an optical illusion-creating makeup trick or an expert-endorsed skincare regime and it’s not anything that requires knives, needles, rollers with needles, patches with needles or lasers that feel like needles. Or knives. Stay with me people – I told you this non-surgical eye lift idea was going to be obvious. But have you ever properly examined hundreds of close-up photos of yourself with the sole aim of working out why you look better in one particular picture than all of the others? Or spent hours focusing on one tiny part of your face, trying to determine why it seems so much more youthful when you’re wearing a certain makeup look or product? The answer to that question is “probably not”, because I’m guessing you’re not mad or pathologically vain or blessed with unlimited amounts of time to look at photos of yourself, but one of the most time-consuming parts of my job happens to be just this: examining close-up pictures of my own face. I do it to analyse foundations (comparing coverage and dewiness and general quality of the finish), I do it when I’m trying to discern minute changes in my skin (pigmentation, redness, darkness under the eyes, congestion beneath the surface), I even do it when I’m trying to decide whether or not I like a certain lipstick colour against my skin tone. I zoom right in on my high-res pictures, so that my pores are as huge as craters and nasal hairs sprout out from the screen like wiry black saplings (always a joy) and then I zoom back out again and look at the overall effect of whatever it is I’m examining – whether it’s a full makeup look or a complexion enhancer or just the fact that I’ve managed to successfully comb my eyebrows. And for the past week, my attentions have been focused on the eye area and the dramatic difference that various makeup products can make to the droopiness of lids and darkness of circles and general knackered appearance. Anyway I’ve gone off piste here, because you probably clicked to find out what the best non-surgical eye lift trick was and I said “mascara” and then blabbered on about my computer, so if you’re still reading then yes, it’s as simple as that. Mascara is, I think, the best and quickest non-surgical eye lift you can possibly give yourself. False corner lashes are probably on a par, especially if your own lashes are puny or non-existent and don’t bolster up with a coating or two of tar-like lash paint, but mascara is the fastest and most faff-free method. It’s quite astounding, don’t you think? 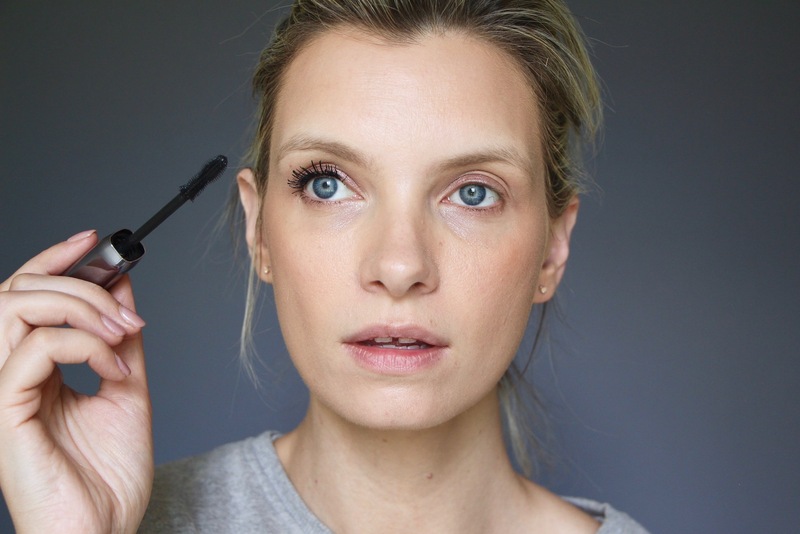 I mean, you’ve probably already realised the wondrousness of mascara and never fail to apply it, etc etc, but for those who (like me) often skip it on a lazy day, does this not just make the most amazing difference you’ve ever seen? Perhaps it’s because my lashes, when visible (you can’t even see them sans mascara), hide my droopy hooded bits and the fact that my lid area is non-existent, maybe it’s because the lashes frame my eyes and make them look more open. Maybe the upwards swoops and curves draw everything upwards and make me seem fresh and wide-eyed. I don’t know, but it bloody works. It’s the world’s quickest, cheapest eye lift. And I’m questioning why – why oh why – I don’t spend an extra few minutes every day getting my mascara just right. Because it does, admittedly, take a bit of care and attention to get the full “eye lift” effect – you need the lashes to curve nicely upwards and not stick out straight, you need to have smooth, separated lashes and not clumpy, crumbly ones and you need to elongate the lash, not load it with so much tar that it looks short and stumpy. And it’s as much about finding the right mascara as it is applying it well – you want lots of product at the root to lift the lash, so the brush or comb needs to distribute it in a way that works for you, you want beautiful separation, so the mascara wand – again – needs to be the right type for your lashes. But get all of this right and the eye-lift effect is yours – unless, as stated previously, you have mascara-immune lashes and nothing ever works for you, in which case you can earn a similar effect (or better!) by putting yourself through the torturous process of gluing false lashes on, which is, I have to say, one of my most-hated beauty procedures. All of the photos on this page, by the way, were taken about a week ago and I haven’t digitally altered anything – I didn’t even curl my lashes, actually, which was an oversight. But I didn’t do the photos with the intention of writing about mascara or eyes – they were originally to show off a new lip product I’ve been testing – and so I wasn’t paying full attention to the lashline. My revelation came later when I was editing and realised that my eyes looked about ten years younger when I had properly applied mascara on. So apologies if this post has been a bit of a non-entity for you – a disappointing anti-climax. 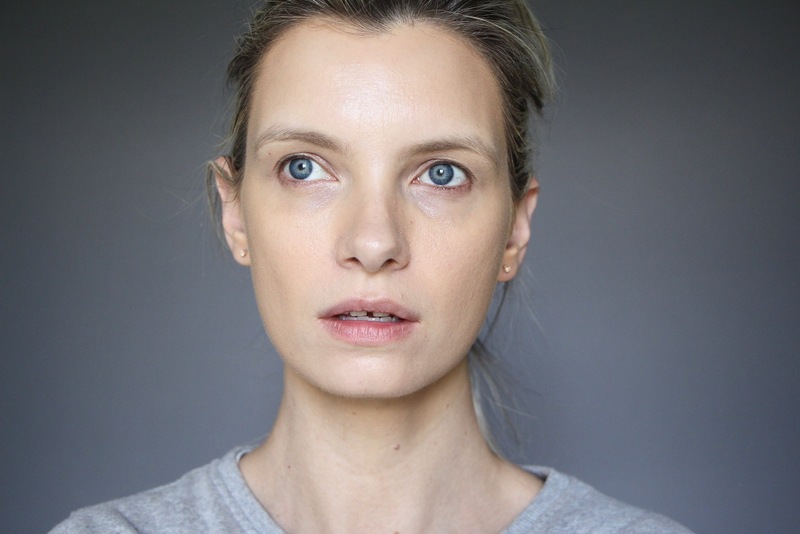 There’s no secret eye cream miracle here, just good old mascara (and this one costs a tenner – it’s here*, post upcoming) and a bit of care with the application. I suppose I could have just put a before and after shot on Instagram and a couple of sentences saying “wow, look at the difference, I never realised before, blah blah blah”, but I felt as though it was enough of a eureka moment to warrant a full website dedication. Answers on a postcard along with your best eye-lifting mascara application tips. Go go go!